Experiencing changes in your mouth is often a sign of a serious condition. 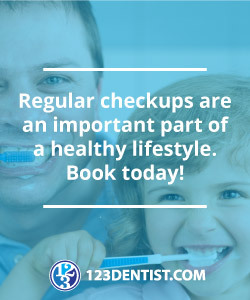 Even with bi-annual dental checkups, it is possible for you to experience a problem with your teeth or gums unexpectedly. You should never ignore dental symptoms that arise simply because they might be a sign that something bad is going on and should be taken care of right away. Most toothaches are caused by serious decay or severe gum disease. It can also indicate that an erupting tooth is impacted and will never fully emerge. Going to the dentist right away gives your dental provider a chance to help to save a decaying tooth, treat gum disease, or extract the impacted tooth before it causes damage to other teeth. If your gums bleed on a regular basis, it is possible that you have gum disease. In its earliest stages (gingivitis), gum disease is treatable. Therefore, you should never ignore dental symptoms involving bleeding gums. If you are experiencing tooth sensitivity, then it is possible that you have one or more of the following symptoms: decay, gum disease, a loose filling, or a fractured tooth. All of these conditions should be dealt with right away to minimize the damage they can create. Therefore, you should never ignore dental symptoms that involve tooth sensitivity to cold, heat, or sweets. Experiencing recurring or sharp pain in the jaw might mean that you are grinding your teeth at night or have tooth decay that has reached the jaw bone. You should never ignore this type of pain, since it can be quite serious. Your dentist will most likely take x-rays to help him determine the underlying cause of this pain. If you notice changes in the colour or texture of your inner cheeks, gums, soft palate, or tongue, then you might have a serious problem such as oral cancer. Never ignore dental symptoms that include white or red patches, lumps, or open sores that won’t heal. Instead, make an appointment with your dentist right away.